As a remodeling contractor, we’re in the know about all things home improvement—and we’ve seen or heard the good, the bad, and the ugly. As a homeowner, you want great results fast. 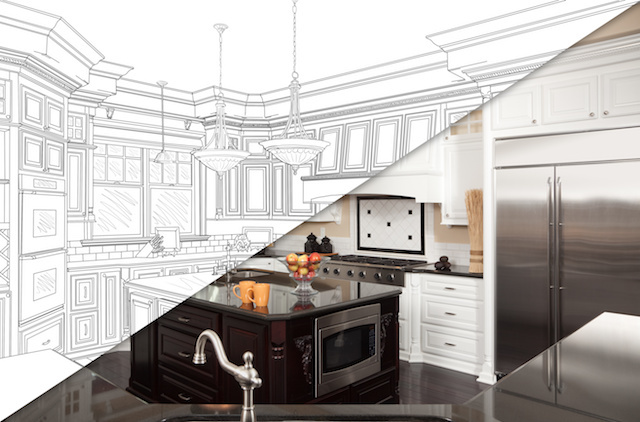 While the home contractor you choose should be on top of things, that isn’t always the case. Sometimes the workers they choose aren’t on their A-game when unsupervised—meaning you may need to actively manage the process, too. Here are four ways to keep your home remodeling project on track and maintain a healthy relationship with your construction team. You talk to your contractor regularly? That’s great! But, you’ll also want to get on the ground floor with your construction team. Ask the contractor and the construction lead how he or she prefers to communicate with you—then, do that. Establishing good communication early on will allow for smooth sailing throughout the project. 2. Track all changes in writing. You agree on one action item in the initial meeting…but you change your mind a few weeks into the project. Or, you may decide to include additional work as the project progresses. Whatever the case, communication these changes in writing to your contractor. This will help you avoid any unforeseen charges or delays in work at the end. 3. Pay only for work that’s completed. In the home remodeling industry, the golden rule is to never put more than 10% down upfront. Only ever pay for work that’s been completed. Your contract may state that you’ll pay when they reach specific milestones; others pay at the end of the project. Talk this through with your contractor and remember to consult your signed contract if you feel like something is off. 4. Be a good customer. The easiest way to keep your home remodeling project on track? Be nice to your crew. The construction team is just as important as your contractor or construction manager—and a smile can go a long way. If they enjoy working for you, they may be more motivated to do their best for you. Ready to for a home remodel near Fort Collins, Denver, or Boulder? The team at H3 Construction and Design is always ready to help you build the home of your dreams at the price you can afford. We take on projects of any size and have been called one of the best home remodeling companies in Northern Colorado—give us a call today at 970-515-2264 or contact us online to learn more!